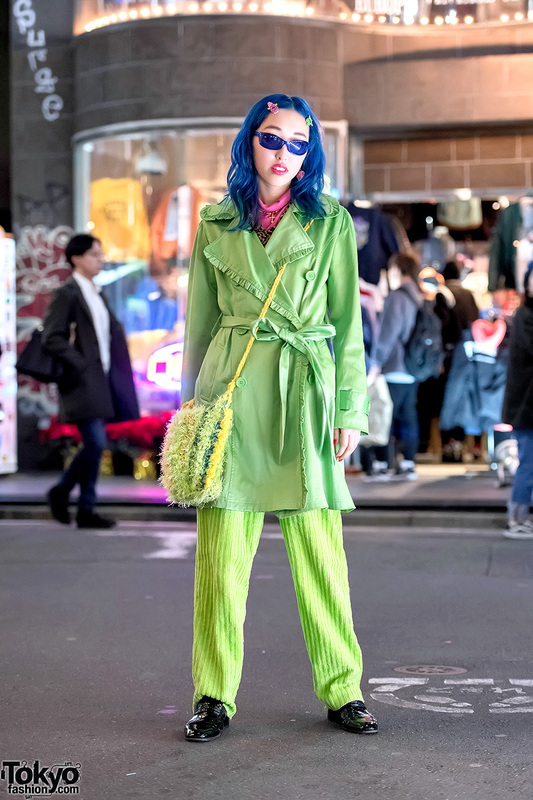 Japanese student wearing a vintage green coat, layered vintage tops, vintage green pants, heeled Balmain shoes, and a fuzzy wool purse. Harajuku girl in print on print fashion style with heart print sweater, plaid skirt over colorblock pants, platform sandals, plaid bag and floral print chain handbag. Harajuku girls in red and yellow vintage street fashion with button down shirt over ruffle lace top, floral pants, red sandals and handbag, yellow t-shirt, ruffle skirt, platform colorblock creepers, strawberry bag & accessories. 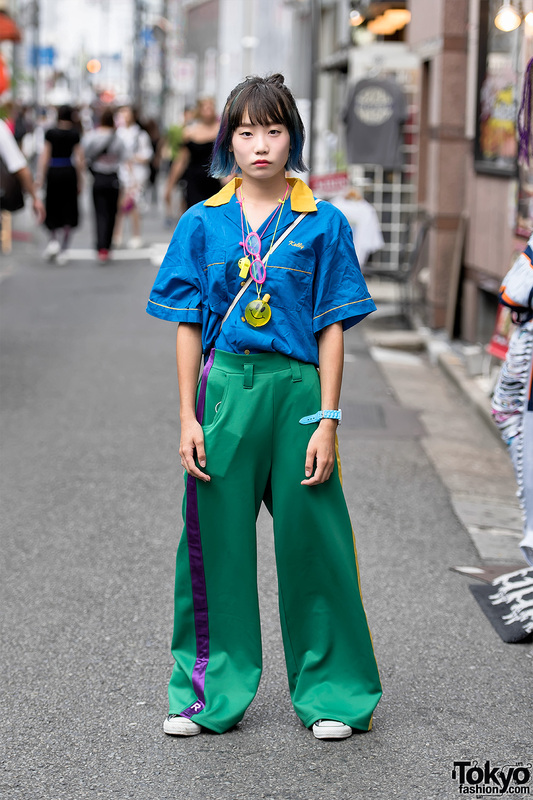 16-year-old Japanese student with rainbow hair wearing a vintage button up shirt with wide green pants, cute toy accessories, and Converse sneakers. 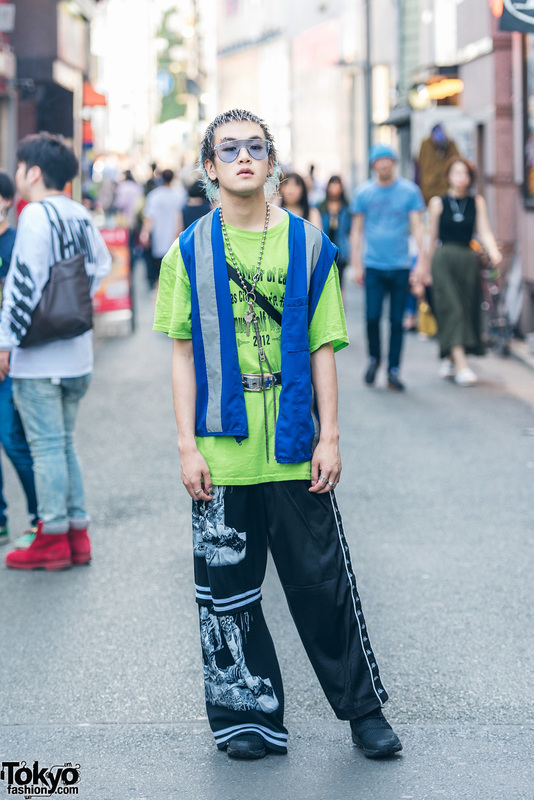 Harajuku fashion college student in streetwear look wearing vest over t-shirt, graphic pants, black sneakers, ball chain o-ring zipper necklace, sunglasses & silver rings. Harajuku girl in fuzzy jacket, animal print blouse, leather skirt, corset belt, net stockings and knee high boots. Harajuku duo in gingham print & plaid print pieces with corset, jacket, pants & square toed shoes and vintage shoes & denim pants. 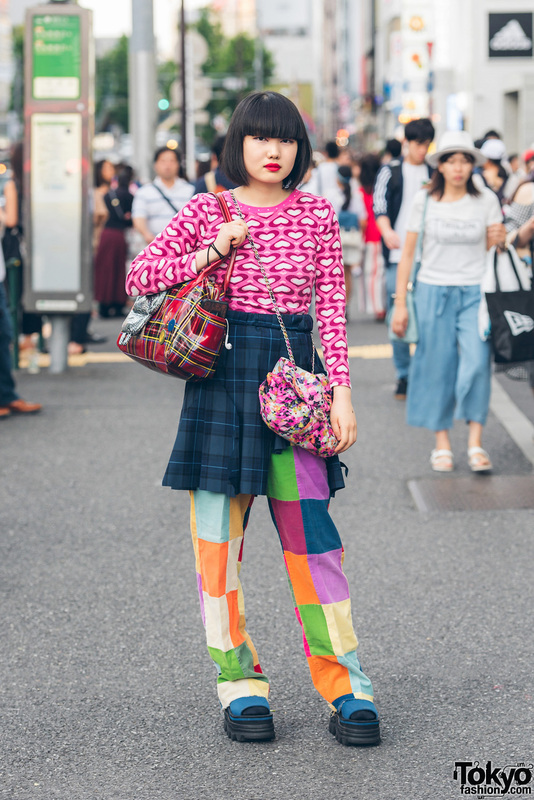 Harajuku girl in eye catching tartan print ensemble with tartan coat, plaid pants and heeled shoes. Harajuku girl in lingerie as outerwear, resale fashion, and platform shoes. 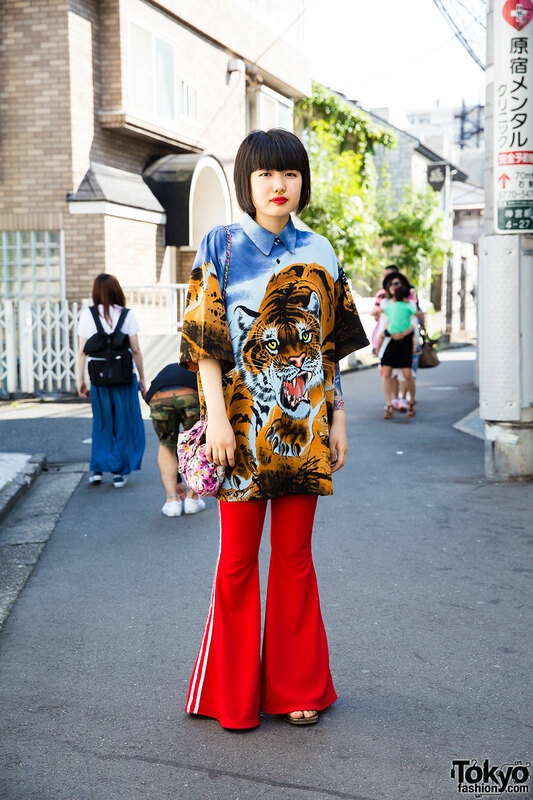 Harajuku girl in eclectic fashion style with tiger print shirt, bell bottoms, floral chain handbag and geta sandals.